I don't know if they teach this at Youth Seminary. I'm sure it's not a topic of conversation at summer camp. I wonder if schools ever even grace the topic. and to be drowned in the depths of the sea." At KIVU we take this warning VERY SERIOUSLY!! I have long recognized the dangers in causing students to stumble. And all of the sudden, stumbling becomes a reality. 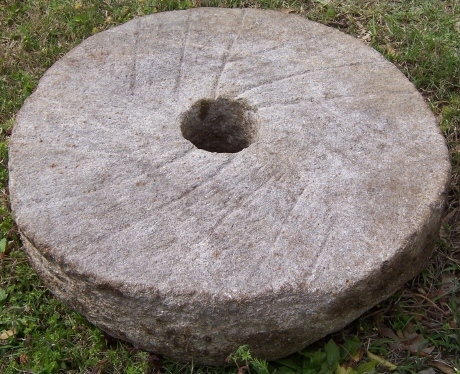 Have you ever seen a millstone? You're not getting up from that one….. So, All of us who are involved in youth ministry would be wise to take heed. We have a responsibility to be excellent in our communication to new believers. We have an obligation to make sure our lives are drawing people children closer to Jesus, not further away. We have a wonderful opportunity to help students to know God, but it's not a game. It's life. It's real life. Father…please may the words of my mouth, and the meditation of my heart be pleasing to you. And as I prepare to lead those you've place in my sphere of influence, may your words be clear, and my agenda take a back seat to yours. May we be a generation of leaders who understand the severity of causing confusion where you want us to be clear. May we see the heart of a child as the most important treasure you've given us. Thank you for the sacred privilege given to us as we make your message known to the world. Excellent word Andy! I’m copying your prayer and praying it for myself.